For most people, the concept of a drone delivering a lunchtime sandwich probably still feels like a distant reality. For Aaron Levitt, it feels closer every day. Levitt is the assistant director of engineering for Holly Springs, N.C. — a booming town near the center of the state — and in that role he’s helped pave the way for a drone delivery partnership with testing tentatively set to begin in the fall. If all goes according to plan, Holly Springs would be among the first spots in the United States where drones are used for package delivery. The partnership, which involves the town, the North Carolina Department of Transportation, an Israeli drone company called Flytrex and the Federal Aviation Administration, is a case study in how drone technology is edging further into commercial applications. For Holly Springs, the process began in earnest in December 2017, when Levitt submitted a letter of intent for the FAA’s unmanned aircraft system integration pilot program (IPP). 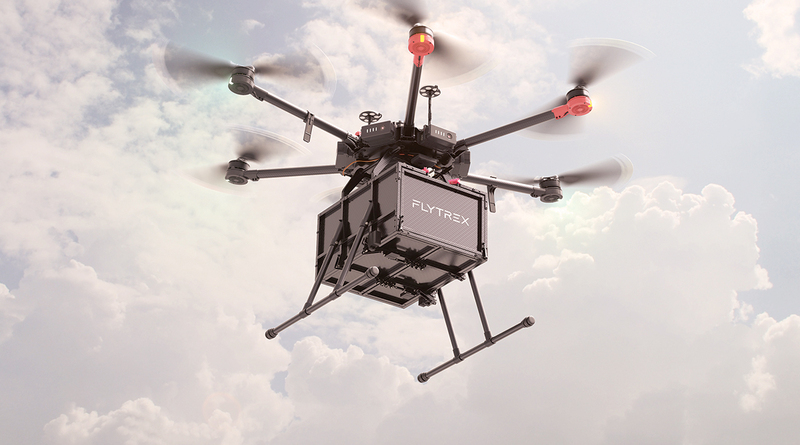 The town was then approached by Flytrex, which has already implemented a 13-route food delivery-­by-drone system in Iceland, and decided to join together. From there, Levitt brought the concept to NCDOT, and the department added the Holly Springs plans to its own IPP application. The Holly Springs project is part of a wider effort by NCDOT to test drone capabilities for carrying medical supplies around the state. The FAA accepted NCDOT’s proposal as one of 10 in the country. Some of the projects are similar, such as in Virginia, where a team is testing package delivery in urban and rural areas in partnership with Google parent company Alphabet. Others are quite different. The Lee County Mosquito Control District in Fort Myers, Fla., is planning to use drones to control and surveil the local mosquito population. Like other cities pursuing novel drone applications, members of the project in Holly Springs have worked to allay apprehension they’ve heard from some residents, Levitt said. And beyond the safety benefits drones can provide, Levitt explained that they would have other positive implications for rapidly developing areas such as Holly Springs, which in less than three decades has seen its population balloon to more than 30,000 people from fewer than 1,000. He reasoned that from energy, emissions and congestion standpoints it made more sense to have a drone — rather than a 3,500-pound car — go out for food deliveries. Tom McMahon, vice president of advocacy and public affairs at the Association for Unmanned Vehicle Systems International in Arlington, Va., said that he believes current regulations, such as the line-of-sight rule, are the biggest obstacles to wider adoption of drones in e-commerce. That makes the prospect of drone delivery more daunting at the moment, McMahon said, but not impossible. As an example, he cited the Ohio-based electric vehicle company Workhorse, which has partnered with UPS to test other drone applications in final-mile delivery. That company has developed a concept for modified trucks that can deliver packages via drones that emerge from the vehicle’s roof. Additionally, he noted, drones could serve in security and maintenance roles. Rail companies already have started using them to inspect rail networks, monitor cars and, in some cases, keep an eye on employees. Likewise, some power companies have adopted drones for power line and transmission tower inspections. In the coming years, McMahon said, we could even begin to see unmanned flight in passenger-sized aircraft. Despite the current regula­tory challenges, the use of drones eventually could open up many new possibilities in a wide range of applications.